Life Extension Optimized Saffron with Satiereal is an all-natural weight loss capsule that suppresses your appetite and helps prevent you from overeating. 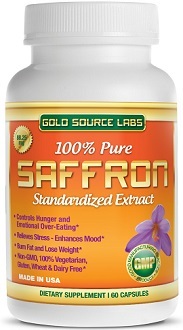 Optimized Saffron with Satiereal can help suppress your appetite and allow you to eat less. Our review focuses on Life Extension Optimized Saffron with Satiereal and how saffron can lead to weight loss. Get ready to fit into that dress you have at the back of your closet! 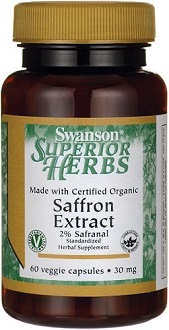 Saffron is a natural diet suppressant, while also helping you feel relaxed. The way it works is that after taking saffron, this natural supplement assists in heightening your serotonin levels in your brain to help dark moods that often come about as a result of depression. Many times depression is linked to emotional eating, where someone binges on fatty foods to reduce the stress he or she is feeling. To combat this, saffron also helps curb your appetite to make you feel less hungry throughout the day. This aids in self-control when a craving hits while a stressful situation pops up, allowing you to feel calm and hold back from grabbing some chips. This tablet is also vegetarian, with binder ingredients and a pill capsule that is not made out of animal gelatin, which is helpful to vegetarian or vegan users. For saffron pills, you want to look out for any added ingredients that are unnecessary and unnatural for your body’s digestive system. This supplement just contains saffron, which is a good sign. Take two capsules per day, one in the morning and one in the evening with a meal. 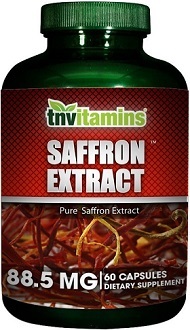 Each capsule contains 88.25 mg of saffron. 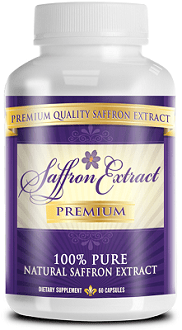 We have found that other saffron weight loss pills on the market contain more than twice that amount – up to 400 mg of saffron in each daily capsule. One bottle of Life Extension Optimized Saffron costs $24.30 for 60 capsules. If you are purchasing it from Life Extension’s website, you save $2.70 for an online purchase of just one bottle. Life Extension does not offer any guarantee for these saffron weight loss pills. There is no solution written of how to return pills if they do not work for you, nor a time that you have to return used or unused bottles. This is unfortunate for a customer who may be unsatisfied with the results, especially as other products on the market have a full refund guarantee for at least 90 days. Life Extension Optimized Saffron with Satiereal is an all-natural weight loss capsule that suppresses your appetite and helps prevent you from overeating. Using saffron and no other ingredients, Life Extension provides a useful pill to take with no worries and high hopes for positive results. Unfortunately, saffron pills with 400 mg are proven to be more effective and curb cravings, and Life Extension’s version only has 88 mg per capsule. There is also no guarantee provided with a purchase, leaving the customer risk losing their money on a pill that doesn’t work for them. There are many customer reviews on the website, most of them claiming that the capsule is easy to take and actually effective at stemming cravings and helping with weight loss. Some people have claimed that it doesn’t work, which is expected with any diet pill, as each body has different needs.